It’s widely acknowledged that service providers have to leverage cloud to increase their capabilities and deliver better, faster, and more services to customers. The challenge, though, is making that transition to cloud models, integrating multiple vendors and services, and building efficient end-to-end processes – from sales to provisioning to support – that will enable them to support customer needs. Ryan Walsh, Chief Channel Officer at Pax8, will be speaking to the MSP and service provider communities, discussing why new strategies for building business value are imperative, how to design them, and importantly, how to manage them to ensure successful rollout and attract new customers. In advance of his sessions at MSP Expo and AIOps Expo in. Ft. Lauderdale, Florida, I took a moment to ask Ryan about some of the pains cloud migration presents providers and how those challenges can be overcome. As the leader in cloud distribution, Pax8 helps solution providers and MSPs achieve more with cloud technology. Acquiring cloud-based products can be a hassle, given the need to support complex quote-to-cash processes around these products. This can be painful for partners who don’t have the experience or internal systems necessary to deliver these recurring subscriptions in an easy and reliable way. Through billing, provisioning, automation, industry-leading PSA integrations, and pre-and-post sales support, Pax8 simplifies cloud buying and delivery, improves operational efficiency, and lowers customer acquisition cost. 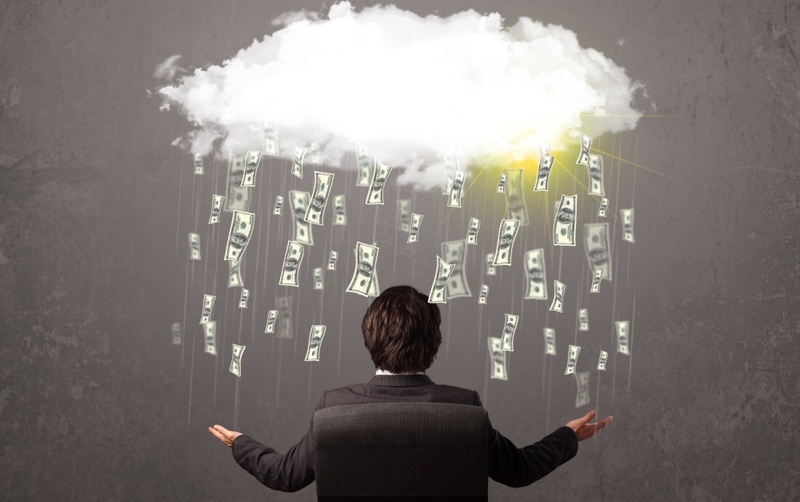 MSPs offering cloud technology to their customers see a higher company valuation than those who only offer one-time project or hardware deals. Pax8’s mission is to simplify cloud adoption for MSPs and help them build more profitable businesses. Our partners are leading the shift to the cloud, and in the process, separating themselves from the pack of MSPs who are not embracing the shift fast enough. For our partners and their customers, the cloud acceptance represents an opportunity for them to differentiate their businesses and be more responsive in the markets they serve. What is a recent technology innovation? In May 2018, Pax8 introduced Pax8 Stax, which offers a single, aggregate view into the MSPs’ customer base allowing them to easily identify up-sell and cross-sell opportunities. This helps increase cloud adoption and further enable automation so the MSP can spend more time on their core business. Pax8 Stax was recently awarded the MSP technology BI tool of the year by CRN. Mobile is creating new opportunities in the market. Where we play a role is ensuring our partners are offering the technology stacks they need to protect their customers’ businesses, which are becoming more and more mobile. Their employees are now working beyond the physical location of their corporate headquarters, yet need the same support and security as if they were in the office. Data privacy concerns could disrupt their place in the market, which would open the door for new competition. However, if these companies continue to innovate and evolve their business model based on the needs of consumers, they will only grow stronger and more relevant. Given the pace of innovation, even FAANG leaders need to keep an eye on the next disruptive technology, or be subject to new competitors not seen before. Open-source is foundational for almost every player in the market. There is a lot of passion and economic force driving continued success of the open-source ecosystem. Pax8 looks for and has embraced open-source options as a way to go-to-market faster and tap into expertise beyond the walls of our company. Blockchain offers a de-centralized accountability and trackability mechanism. The current framework for any interaction is based on trust. Blockchain opens the door to new interactions that don’t required a trusted, established relationship. Many customers subject to compliance regulations and standards may need less MSP-dependent solutions when it comes to storing, tracking, and auditing their data. Blockchain can help streamline negotiations, contracts, and formalized agreements as well as leverage a de-centralized ledger for managing and auditing corporate assets and communications. AI enables more automation, which is good for business. AI allows partners and employees to focus on business outcomes rather than a sole focus on managing the technology. The potential is massive. We are only beginning to tap into its ability to fast track decision-making and improve operational efficiency. Focused AI that is specific to a problem-set is going to out-perform a more broader AI solution. Therefore, it makes sense to solve business problems in a more intentional way with AI. We believe that the way traditional distributors are working with master agents will evolve based on technology like SD-WAN and UCaaS. Our partners are demanding comprehensive, all-encompassing technology stacks, including SD-WAN, business productivity tools such as Microsoft (News - Alert) Office 365, security, and backup solutions. IoT presents many opportunities for the cloud and companies, like Pax8, who are in the center of the ecosystem. Pax8 can act as an advisor for MSPs who are seeking to link their computing devices and software together. Like AI, narrow IoT solutions will rule early implementations. Managing the recurring subscription with IoT endpoints is an opportunity and area of interest for Pax8 and our partners. Learning new technology and keeping up with the latest innovations can be exhausting. Once businesses get a grasp on the new tech, they then need to find out how to gain profitability. This is an investment, and many SMBs are struggling to find the time and resources to keep up. Pax8 simplifies complicated technology for MSPs. We provide MSPs with an understanding on how it all works together and new ways to gain more profitability or operational through the latest tech. Automation is also key in this process. Through our technology, MSPs can better automate their business processes and become more operationally efficient. Cloud technology is the greatest opportunity in our industry today. The key for MSPs is to leverage the power of the recurring nature of cloud subscriptions and reduce customer acquisition costs in the process. There are so many benefits to be had for businesses growing their monthly recurring revenue. Time is the greatest challenge. Those who are not evolving their businesses today to the cloud will simply cease to exist in coming years. For MSPs looking to build a strategy that will increase the value of your business through monthly recurring revenue, this is the session for you. We will offer ways to lower your Customer Acquisition Cost and help you adopt new tactics to increase the lifetime value of the customer relationship. Cloud Growth: There will be a massive shift to cloud products. Multiple cloud purchasing will increase 50-100 percent next year alone. The ability to sell and deliver multi-cloud products into a seamless customer solution will separate the best from the average MSP. Niche players: Those who own a definable niche will grow faster and be more profitable than those who don’t. Customer Experience: Crafting and delivering a phenomenal customer experience will only increase as the reason why MSPs will gain or lose customers rather than simply price or even product offerings. If you’re not yet registered for the conferences, take a moment to do that today. Ryan and his fellow speakers at MSP Expo and AIOps Expo will bring you valuable information you will be able to take back to your business to ensure continued growth and long-term value for your customers.